*Any animation works longer than 30 min. but less than 60 min. shall be applied to the category of Feature Animation first. The TAAF Office will contact the applicant later to notify which category is appropriate for the work. - Work must have been completed on, or after, January 1, 2016 (regardless of country of origin, and whether it is professional, amateur or student work). - Work that has been theatrically released, broadcast, or distributed for profit in Japan for a certain period prior to March 8, 2018 is not eligible for the Competition (such work would qualify under the “Anime of the Year” category). Screening at film festivals and previews are not considered “for profit” herein. 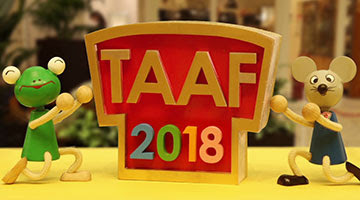 - Work that has been nominated to TAAF in the past will not accepted. - Once submissions have closed, the Preliminary Selection Committee will select the nominees for the final judging. Result of the selection process will be communicated to successful applicants, and the list of Nominated Works will be posted on the TAAF2018 official website. - The screening material should be either of the following: Apple ProRes (1920 x 1080 pix.) or DCP. - Nominated Works will be publicly screened at designated theaters during the Festival period in Tokyo, during which time final judging will be conducted by the Competition Jury. - The screening schedule will be announced after the primarily selection at TAAF2018 official website. and other prizes (if applicable). Please read this outline and application guideline carefully before your application. We look forward to your application for TAAF2018.